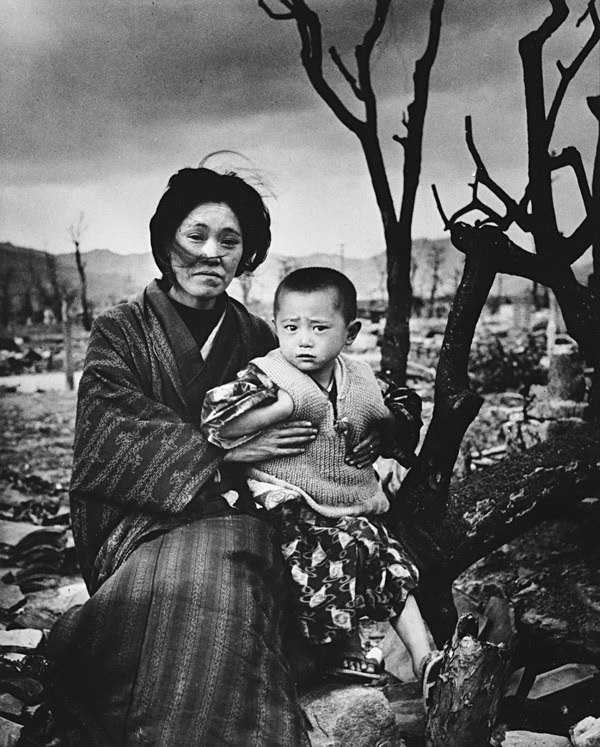 A mother and child, dressed in traditional clothing, sit on the ground amid rubble and brunt trees, Hiroshima, Japan, December 1945. Duma speaker calls for legal assessment of the nuclear bombings of Japanese cities. Russia stands against forgetting about the moral side of atomic bombings of Hiroshima and Nagasaki, State Duma Speaker Sergey Naryshkin said on August 4. Some are trying to erase "the ugly moral side" of bombings from the memory of the humankind, Naryshkin said at a session at the Rosatom state atomic energy corporation devoted to the anniversary of Hiroshima and Nagasaki nuclear bombings. "Our country is against such silence and oblivion," the Duma speaker said. He also called for legal assessment of the nuclear bombings of the Japanese cities. "This barbaric, cynical crime against civilians, which was not in any way justified from the military point of view, should be classified as a crime against humanity that has no expiration date. However, it has still not been properly legally assessed," the lawmaker noted. The US Armed Forces dropped atomic bombs on Hiroshima and Nagasaki in the end of World War II. The purpose was to speed up the capitulation of Japan. Those atomic attacks became the only examples of combat use of nuclear weapons in human history.